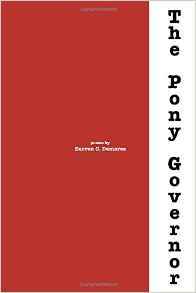 Politics: besides religion, it’s the one subject often tiptoed around, but in The Pony Governor, Demaree holds nothing back and his poems say the things we’ve all wanted to say at times. I thought light could be. And yes, the theme may be politics and leadership, but don’t let that fool you; Demaree’s use of language and line is evocative and rich, and each of these poems gave me that feeling I like to experience when I read poetry, a feeling of having been touched by some invisible force that moves me and changes me on some level. Another really nice thing about this collection is that all proceeds from the sale of this book support Ohio Alliance for Arts Education. And we are delighted to add that our special Autumn/Halloween issue of Unbroken will feature work from Darren, so be sure to watch for that. Highly recommend this collection to all our friends. For more information, please visit a…p press. About the Publisher: a…p Press is the independent, small press imprint of After the Pause literary magazine. For more information, please visit them at afterthepause.com/a-p-press/.